I have written in prior blogs on the many advances in digitizing old media. This movement continues to make available hidden treasures to a much wider audience. Yes, actually being in the presence of these materials will always be the ultimate goal. Still though, getting the chance to actually see these documents from afar is a triumph of modern technology. I fully understand that this is nothing new, but still I marvel at the images when I see them. 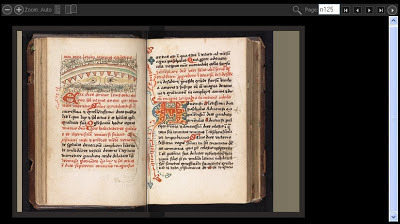 What I have for you today is the Medieval Document Collection of Western Michigan University. I really love when these gems find their way to me. 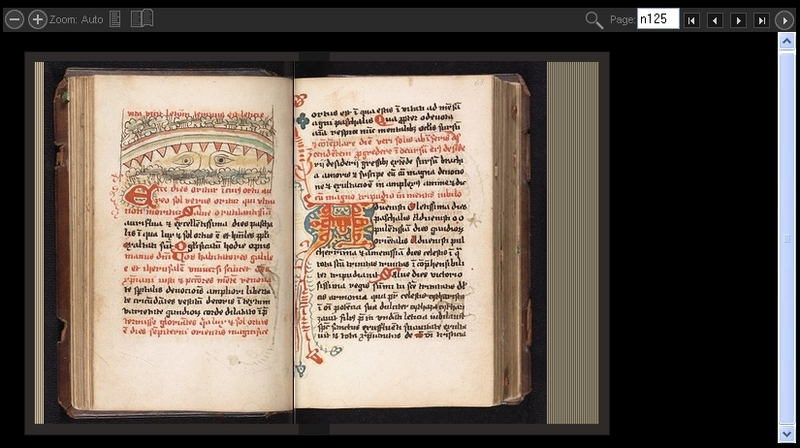 There are a good number of documents online, but what I found most fascinating was prayer book written by and for nuns. The Luna Imaging technology is amazing on how they brought the book to life. Note, for those of you who know of my antipathy for ebooks, this is the exception to the rule. This is a book which obviously one cannot take home and add to your personal library without doing time in Sam Quinton (Yes, I know it is San Quentin! I call it Sam Quinton!!). The book is a beautiful document. Should you be highly skilled in Latin and Flemish you can actually read it too. Sorry, Sir Kate, my Latin is just not that good; however, I fully appreciated the book's presence. This is medieval art and literature and, oh, how I love it. A funny thing, one often thinks of monks and fraternal orders performing scrivener's work - and not nuns. This was an interesting discovery to see that, at least in the 1500's, women had a role in the making of books. I wonder if they bound the book as well? Interesting. And here is a screen shot I captured of the book... enjoy! Books and food - a winning combination. Every now and again there comes a perfect gem of an opportunity. This opening of chance grabs you out of the audience like Monty Hall and offers with an extended hand. You stand there and ponder. Sometimes you are in the correct position and are willing give whatever you can to take it. Other times you must simply be content with the pleasant dreams. The hope girding you that one day will come the day that you can grab it with both hands. A bookstore is for sale in Britain - very cool in itself. Wait, it gets better. The Loch Croispol Bookshop is a bit off the beaten path. So no, it is not in London. Not in Manchester either. Edinburgh? Aberdeen? Inverness? Try a little further north. Try Durness, Scotland. It is probably an easier commute to Norway than London. Yes, Vikings probably landed nearby. This place is for sale. Now sadly it is not in the cards at the moment for me pounce on said opportunity. Oh, how I would love to run a bookstore in the northern sticks of Britain. To get lost in the bountiful myth and history of the landscape, to enjoy the peace and quiet of the night air of the loch, to be away from the indelicacies of urban living - they all call to me. I would love to run that place though I fear I would be more the kid in the candy store. Though she be but little, she is fierce! This bookstore run by partners Kevin Crowe and Simon Long is a success story. This endeavor of 14 years took a pottery shop in the middle of nowhere and made it into bookstore / restaurant / art shop. In its peak season it was a tourist destination for the heartier bibliophiles. All year round they ran a tidy business over the internet. Crowe and Long also went the extra mile and researched books for customers. They made it work. Now they want to retire and hand the reins over to a new owner. From the BBC newsclip I watched it certainly was a labor of love. Their dedication made the place a success. As you are all well aware running a bookstore is not the easiest thing in these modern days. They proved that anything is possible. I hope that they find a buyer who will continue the dream and make it their own. 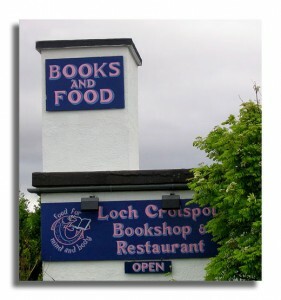 I tried to access the Loch Croispol Bookshop's website to dig a little deeper, but unfortunately the server was non-responsive. So if you have at least £120,000 in Scots Legal Form burning a hole in your pocket and a real love for books then maybe this offer is just for you. 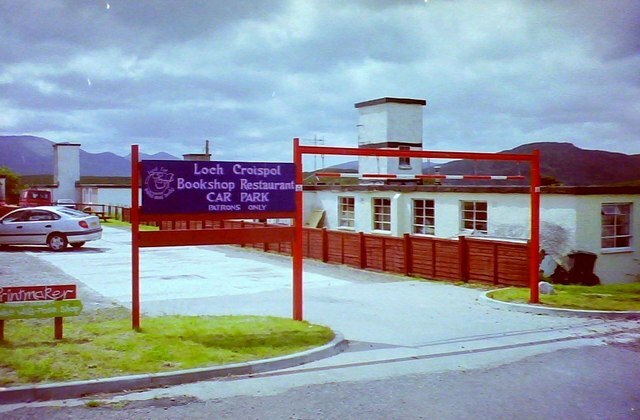 Here is the PDF file of the actual sale Loch Croispol from Ewan, Harris & Company. Great photos and some interesting reading. 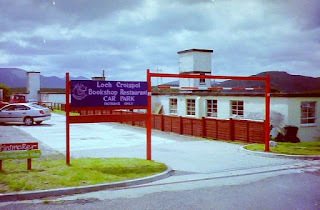 Here is the actual link to the Loch Croispol Bookshop. It didn't work when I tried, but maybe you are just a little bit luckier. Just imagine those rolling fields and mountains... beautiful!